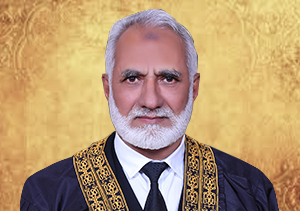 “ It is indeed a great pleasure to welcome you to browse the official website of the Supreme Court of Azad Jammu & Kashmir. Since last more than one decade, information technology has been playing very pivotal role in dissemination of information and knowledge around the globe. From a school going child to a transnational mega company and the governments all are benefiting from the information technology. The constitutional and the executive institutions of any country cannot overlook the importance of the information technology. Rather it has become very essential for the state institutions to automate their internal working and provide their respective services through such automated systems. The websites are vital component of information technology and through these, not only the provision of the information regarding different services of respective institution has become easy but also, many services of such institutions are directly being provided through websites. The concepts of governance and provision of services have been revolutionized through advent of the information technology and the websites. The E-Governance is not only cost effective for public sector institutions but also beneficial for the citizens in many respects. The cumulative effects of automated systems are transparency, good governance and economic stability. Right of having access to information has remained to some extend a natural right but now, right to information has become a fundamental right of the citizens. This website is one of the initial steps and outcome of the project, “Automation of Judicial System and Connectivity of the Supreme Court Offices at Muzaffarabad, Mirpur and Rawalakot. 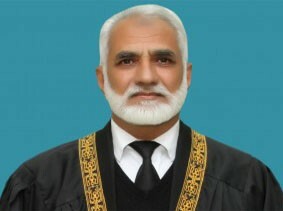 The major work of automation of judicial system is yet to be achieved. This project is being implemented with the financial assistance of the Government of Azad Jammu & Kashmir. AJ&K Information Technology Board is implementing the project and on its completion the same shall be handed over to the Supreme Court. This website is first one of its own kind, and a mark on the judicial history of AJ&K. I hope the information and the services which have been provided through this website shall meet their respective purposes. I hope the legal fraternity, the litigants and the general public will get benefit from it. I will appeal to the legal fraternity to use it regularly and send their valuable suggestion for its improvement.